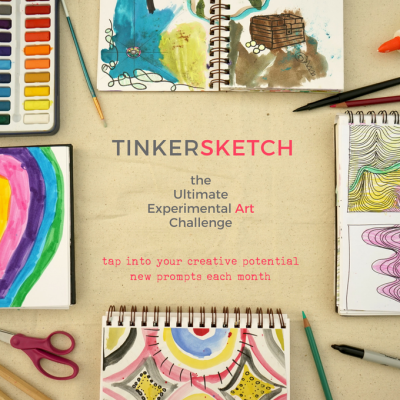 It’s time for another round of CREATIVE CHALLENGE MADNESS. Okay, so this isn’t exactly a madness hot spot, but the creative challenges always bring out the best in bloggers and generate a lot of enthusiasm. 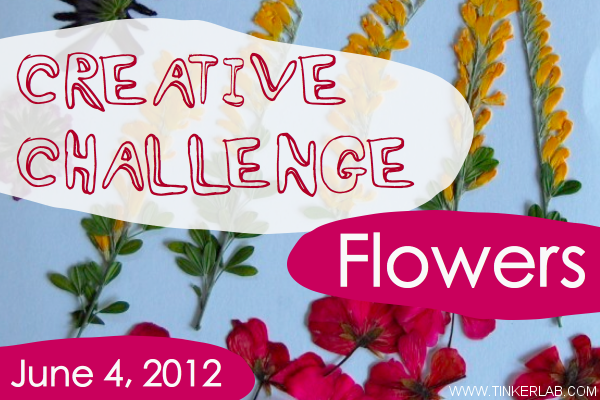 Oh, and this is the TENTH Creative Challenge. Dang. 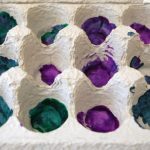 I like them because I get a thrill from watching creative people reinvent and play with the same material in numerous ways. 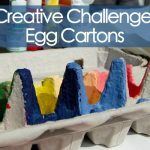 In April, little ones got busy creating and inventing with egg cartons, and this month our creative challenge material is flowers. 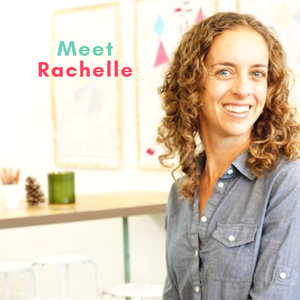 The challenges are open-ended in order to leave room for multiple interpretations. 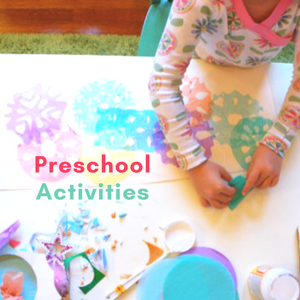 Projects can include fresh flowers, dried flowers, fake flowers, flower stickers, etc. The only requirement is that the post should document an activity that’s child-centered, child directed, and/or process-oriented. Adults can join in, but they shouldn’t lead the activity. The idea behind these challenges is to support creative thinking by encouraging children to initiate and follow through on their own ideas. Children who learn how to think for themselves, pose problems that they can solve, and explore ideas that interest them will be better prepared to deal with the challenges of an unforeseeable future. 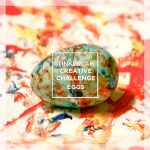 I’ll give you a sampling of the projects in this challenge, and then you can scroll through ALL of them in the link round-up below. 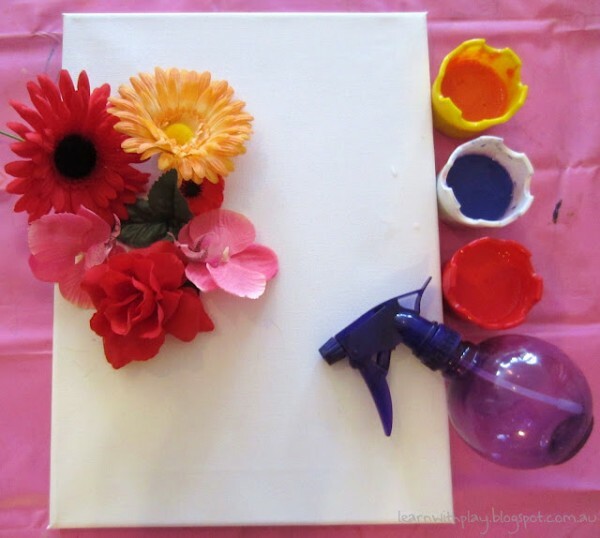 Flower Stencil Spray Painting: Make stencils from fake (or real) flowers and spray them with paint. From Deborah at Learn with Play. 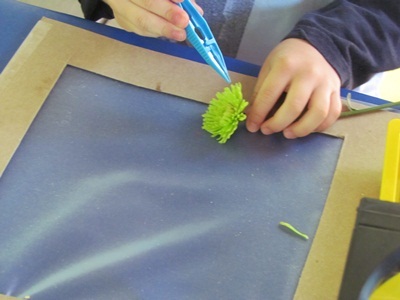 Fine Motor Flower Fun: Deborah from Teach Preschool shows us how to build fine motor skills and encourage close looking with magnifying glasses. 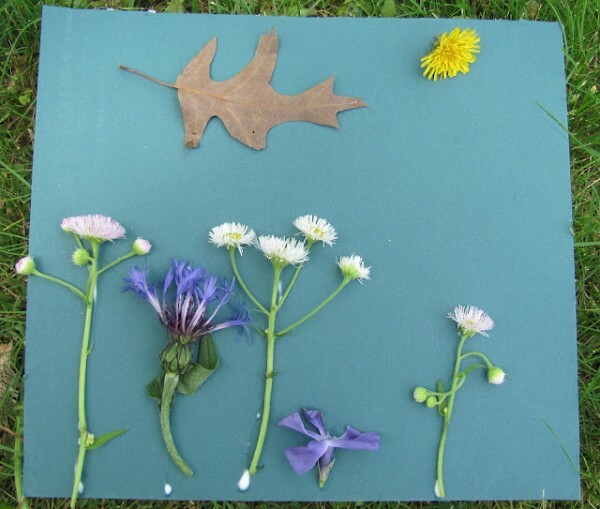 For my contribution, my daughter collected flowers petals and leaves from the garden and pressed them between two sheets of clear contact paper. We have a ginormous roll of contact paper that comes out a lot, and she created a contact paper collage winter scene a few months ago and she must have remembered the process. 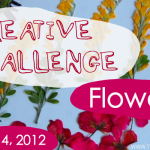 For this fabulous installment, I bring you twenty-five dedicated and talented kid bloggers whose children have taken the challenge to create something with or from flowers. I guess great minds think alike! 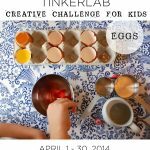 I had NO idea that we were doing similar posts for the challenge! Thanks so much for the challenge! Thanks for the mention Above! It truly was her idea. We may do something new today with flowers….she is more interested in playing, running, jumping….so who knows? 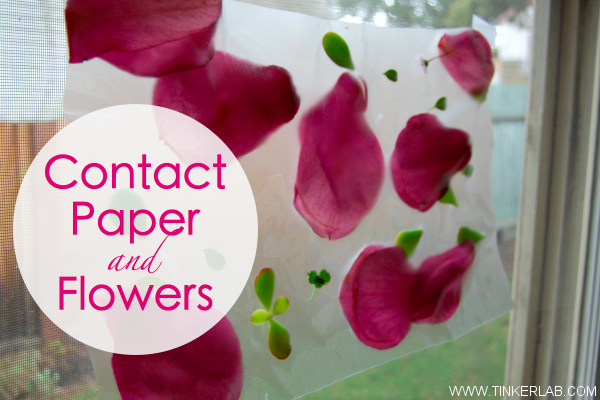 Adding flowers to contact paper is such a fun idea. Thanks for hosting another great challenge! 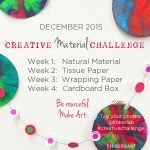 I love this month’s challenge!! 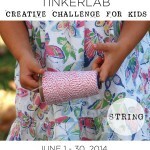 So many beautiful creations by children:) Just posted about the wonderful projects in the linky’s on Craft Gossip!! I want a ginormous sheet of contact paper!!! Oh the things we could make with it. Both my children adore using it and it is so “young child” friendly. Lovely activity. 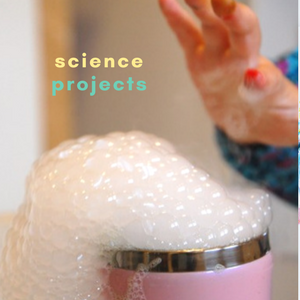 Better late than never, I just linked up an activity we did yesterday. I just started doing a fall project like this with my daughter just today. You gave me a couple more ideas to add.I’m not as creative so need help like yours. Thanks!